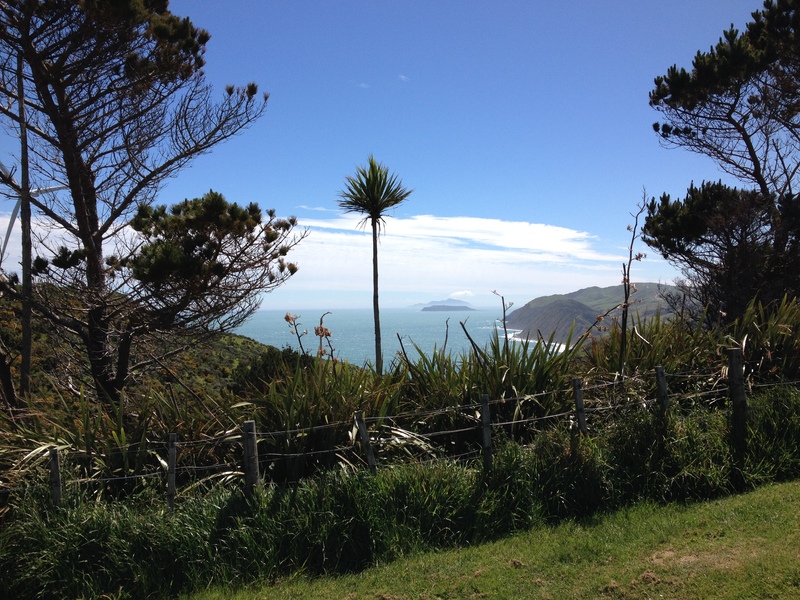 The weather this weekend proved to be lovely and sunny, if windy at times. 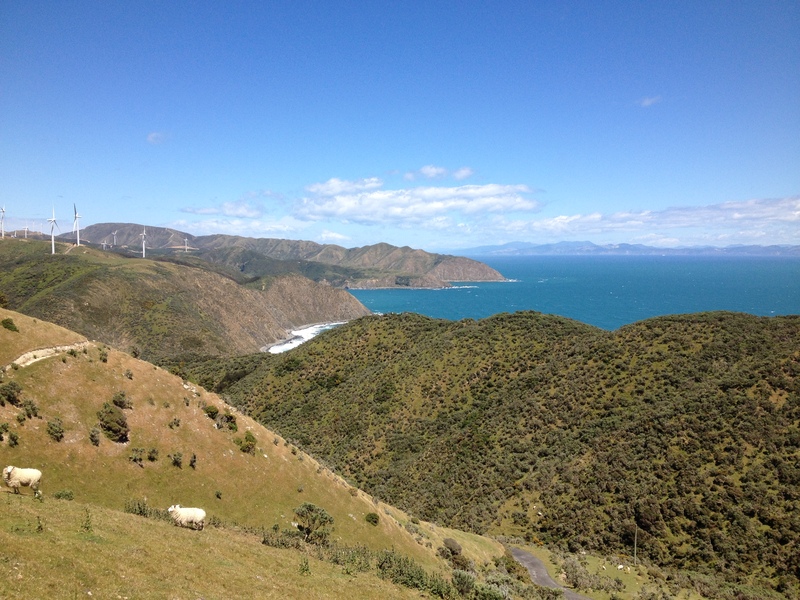 On Sunday, we went out to Makara again, where, if you’ve been reading this blog for a while, you’ll know we go fairly regularly (see here and here for example). 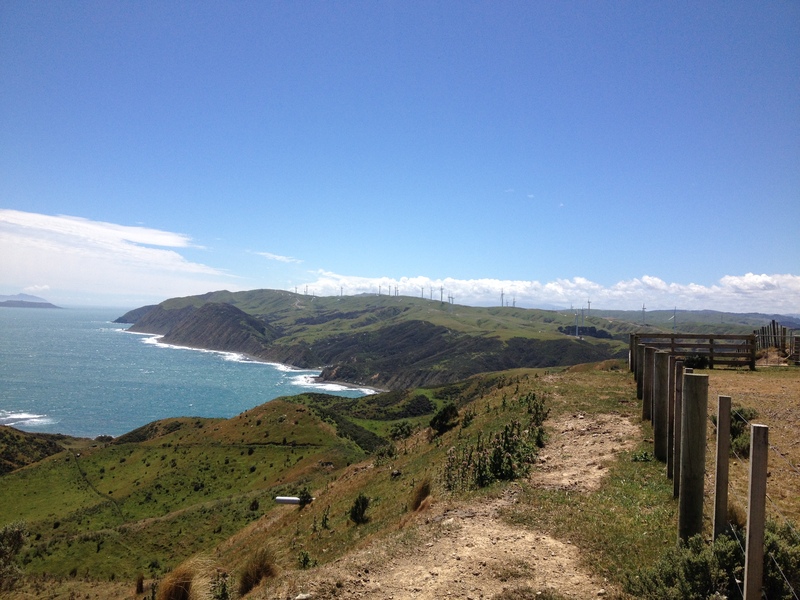 This time, we went up to the West Wind Farm (again, featured in a previous post) and were able to get to what is called the People’s Turbine, which on previous visits had been closed for repair or inaccessible due to lambing. 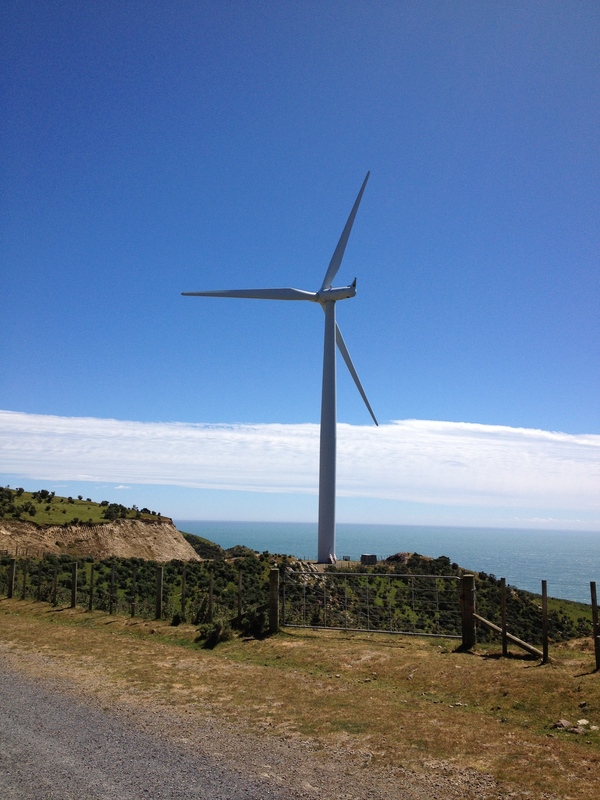 This is the only one of 62 wind turbines that the public can access. 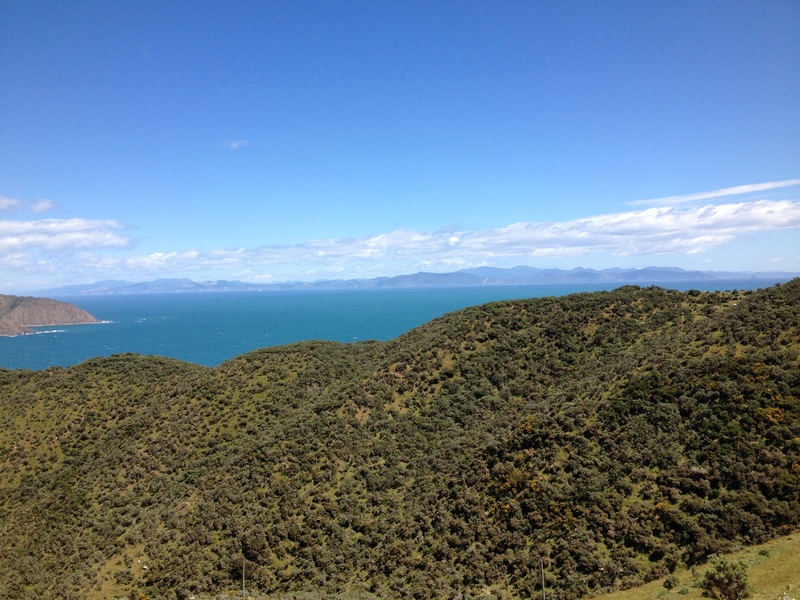 There is a short 20 minute walk from there where you can get some stunning views, as you can see below. Otherwise, it was a quiet weekend – a little weeding, catching up on the Serial podcast which I am completely hooked on, and reading. Oh and cat watching – more on that in the next post.